“I love this mouthpiece as much as I love my prius. In fact, if I could drive and play at the same time I’d drive around the rest of my life, playing the DV. Jody, you’ve outdone yourself. People have said the most interesting things to me along the lines of – WHAT HAPPENED TO YOU?!. they think I’m newly in love or have secretly won the lottery or just found out we had world peace. when I tell them I got a new mouthpiece, only the sax players understand. Tim price suggested I superglue it on the neck so I never use anything else. Claire Daly grew up in Yonkers, NY, affording her access to many jazz greats performing live in NYC. Her father supported her enthusiasm about the music and brought her to many live shows including Duke Ellington, Count Basie, Ella Fitzgerald, Lionel Hampton, Earl “Fatha” Hines, Benny Goodman and more. At the same time, she was hearing contemporary music with her peers at venues like The Schaeffer Music Festivals in Central Park. Her taste runs from the classics through the avant garde, and Claire still believes in the importance of hearing live music regularly. 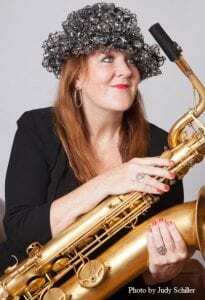 She graduated Berklee College of Music as an alto player and traveled on the road with both jazz and rock bands, but her life changed significantly the first time she played a baritone sax. It happened to be the first horn Howard Johnson had owned, for sale by a mutual friend. “It was an epiphany. I felt like, There I am – this is my voice.” Claire hasn’t looked back and has become a well known, leading voice on the big horn. Her first CD as a leader was released on Koch Jazz in 1999. “Swing Low” was received very warmly. Claire was nominated by the Jazz Journalist Association for “Best New Artist of the Year” and Swing Low was subsequently added to a listening station in the William Jefferson Clinton Library in Little Rock, AK as a CD significant to the President while in office. Since then, she has been a winner/nominee of many critic and reader polls and has won the JJA Baritone Saxophonist of the Year award. “The Mary Joyce Project was composed by Claire and Steve Hudson. It is music dedicated to her father’s cousin – Mary Joyce – who traveled by dogsled from Juneau to Fairbanks AK, solo, in unchartered territory, in 1934/35. Mary is an American hero and an Alaskan legend. Adventurous women run in the family. The piece premiered in Juneau. Claire has always liked a good theme and Mary made an unforgettable impression on her as a child when she came to stay with the Daly family. Her move back home to New York from Boston was the beginning of her playing extensively as a freelance musician in NY. She struck up a lifetime collaboration with pianist/composer Joel Forrester (composer of the theme for “Fresh Air” w Terry Gross on NPR). Their band “People Like Us” released 5 CDs on Koch Jazz and they continue to play and record 25 years later. She was the original baritone player in the Diva Big Band, anchoring it’s section for the first 7 years as well as doing multiple recordings as a side person (Taj Mahal, George Garzone, many more) and leading her own groups. Some projects include “Movin’ On”, “Heaven Help Us All”, “The Honorable Hustlers” w beat boxer Napoleon Maddox, “Speak, Spake, Spoke” with wordslinger Kirpal Gordon, “Scaribari”, “Rah Rah – a tribute to Rahsaan Roland Kirk” and “The Mary Joyce Project”. In 2012, The North Coast Brewing Co. in California produced a CD for Claire called “Baritone Monk” to promote their “Brother Thelonious Ale”. It was on the Jazzweek Charts for 24 weeks – 9 of which were top ten. This led to headlining at the Monterey Jazz Festival, KC Rhythm‘n Ribs Fest, Pittsfield Jazz Festival and more in addition to touring the United States with the quartet. 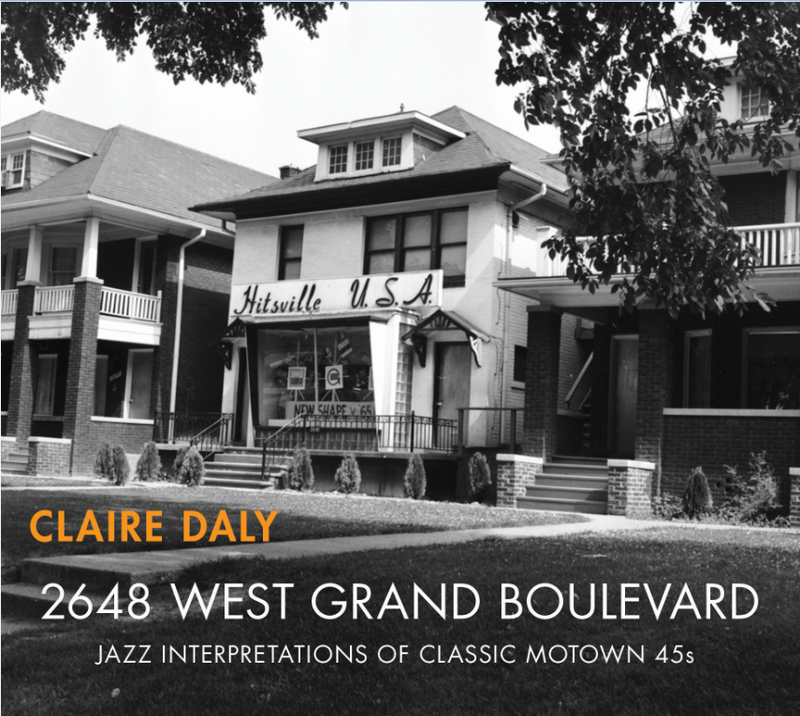 Her most current project is called “2648 West Grand Boulevard” and features jazz versions of Motown tunes from the Detroit years. It’s on the Glass Beach Jazz label, produced by Doug Moody. This CD is very close to Claire’s heart. It is likely that the first live music she heard was when she was under 10 years old. Her father asked to bring the kids in for a minute to hear The Supremes at the Shoreham Hotel in Washington, DC. The music and the spectacle were deeply influential to Claire, who grew up listening to the Motown sound as the soundtrack of her early years.